Today, the United States will have its first total solar eclipse in 38 years, covering a pathway from Oregon to South Carolina. As the moon moves across the sun to create partial or complete darkness, the buzz of this once-in-a-lifetime event is the perfect springboard to get your class excited about science. So, what are you waiting for? Grab your eclipse glasses, pick a resource or two and ensure this day is out of this world for your students! Kick-start the day by getting your elementary class to visualise each phase of the moon with this fun flip-book before answering this collection of multiple-choice questions using these moon phase task cards. Help your middle or high school students grasp the basics of solar eclipses with this comprehensive lesson, including using their phones to simulate and explain how they work. Older learners can then apply this knowledge using these engaging templates, complete with interactive diagrams and an answer sheet. Moon Phases Task Cards: These task cards are a great way for students to improve their skills with identifying the phases of the moon and their knowledge of the Sun, Earth, Moon system as a whole. There are two versions of this product: 24 cards with multiple choice questions, and the same 24 cards but with the multiple choice questions taken out to work as open ended questions. A recording sheet and an answer key are included. Lesson explaining what is a Solar Eclipse and the difference between a total, partial and annular solar eclipse. 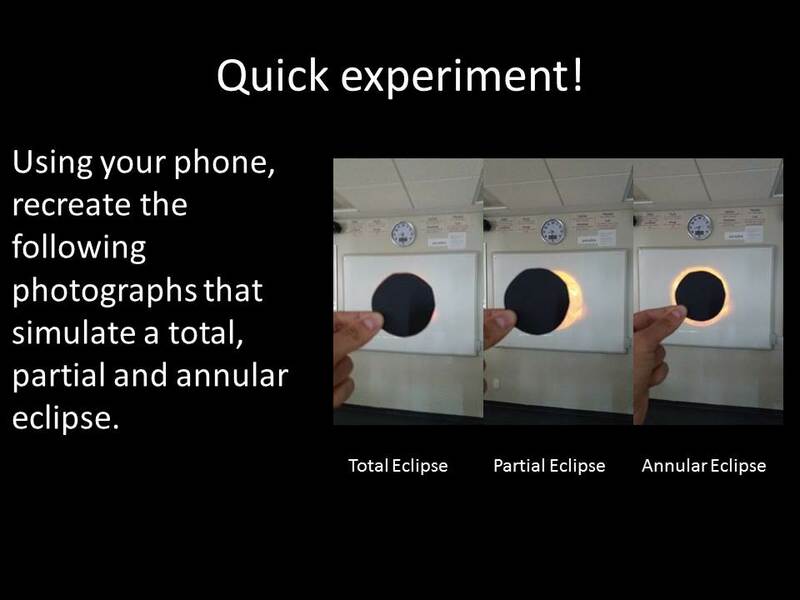 Students should use their phones to simulate the different types of solar eclipses (see cover image) and then be able to explain the conditions for the three types of solar eclipses to occur. Eclipses: This eclipses lapbook is a fun hands on activity for students to use in their interactive notebooks. Students may research different facts about each type of eclipse (solar and lunar) and write what they find on the provided blank lines. A completed lapbook with answers is included. How about making the task of learning solar-eclipse vocabulary fun and engaging with help from these cootie catchers? 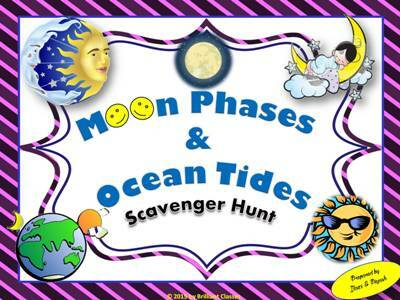 And, if you weren’t able to get the coveted eclipse glasses or aren’t in school on the day of the eclipse, recreate the celestial magic through this moon-phases and ocean tides scavenger hunt. 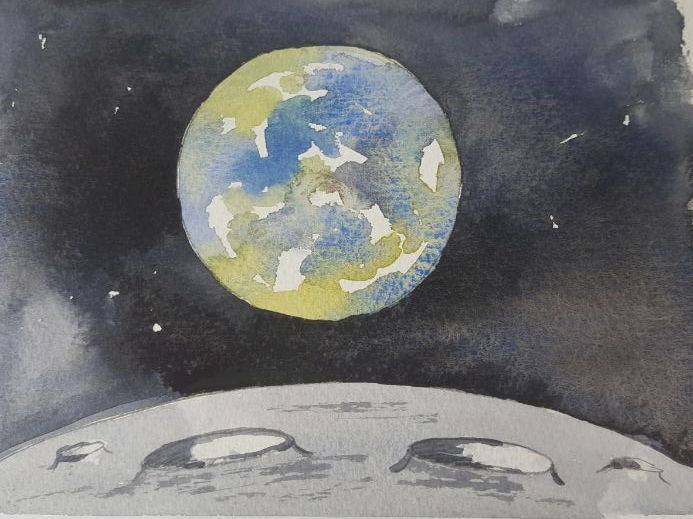 Celebrate the moon all year long by having students paint watercolors of the iconic 1969 moon landing with this detailed lesson plan. Plus, encourage competition in your classroom with this interactive quiz, in which learners answer a range of questions in order to build their rocket and win the game. Eclipses: These eclipses cootie catchers are a great way for students to have fun while learning about eclipses and the different types of eclipses. How to Play and Assembly Instructions are included. These eclipses cootie catchers come in color and black & white, and also come with a version where students can add their own definitions. All of this totals 4 pages which has students identifying vocabulary terms about eclipses (with pictures) based from the definition. At the end of this Scavenger hunt students will be able to learn the science behind Moon phases and ocean tides with vocabulary on it. Task cards are a great alternative to worksheets. They allow students for random movement in the classroom, which brain research shows increases achievement! It works well with partners or individually. 1. Print 27 Scavenger Hunt cards on card stock or brightly -colored paper and cut them apart along the black lines. 2. Make copies of the Scavenger Hunt questions worksheet. Each student needs a copy. 3. Place the Scavenger Hunt cards around your classroom where students will be able to find them. You can put them on chairs, on the computer keyboard, on the back of your classroom door, on the sides of student desks, on the chalkboard, or wherever you like. You will find lots more in my store, including math, science, ELA, activities/craftivities, special education, interactive activities, and more! Based on the iconic photo of the 1969 moon landing. Your children will discover how to mix watercolours and apply washes. Differentiation is automatically included ‘as each individual’ will discover their own level of painting.